Posted on 09/20/2016 in Game Recaps, Team News. 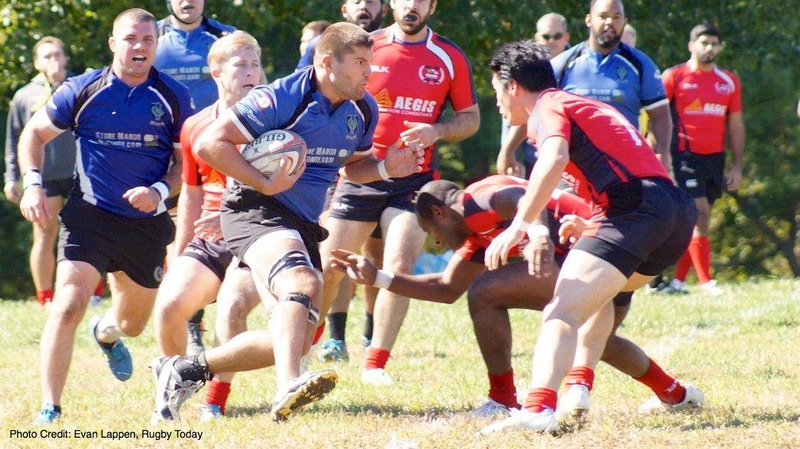 The Potomac Exiles’ D3 side kicked things off with a 29-29 tie to the Washington Renegades, while the D1 side came up short in the home opener for both sides. Potomac came out strong with two early tries. New fullback Mike Hultberg got the scoring started just two minutes in, followed by new winger Jack Pooley for the 12-0 advantage 20 minutes in. The Washington Renegades would counter with two tries of their own in the next ten minutes, and the tie held until halftime. Potomac looked determined to defend home field, coming out firing in the second half. With tries from new prop Jon-Michaels Plews and a second from Hultberg, Potomac staked itself another 12 point lead with 20 minutes to play. But the Renegades wouldn’t give up the fight. With 12 minutes to play, Washington closed the gap to 24-22. The home team calmly responded five minutes later to go up 29-22. Potomac ran a series of slow balls to grind the clock down, but a costly error behind the ruck gave Washington new life. At 76′, the Renegades scored and converted to tie the match and end the scoring, 29-29. The D1 side tried to duplicate its D3 counterparts by building an early lead. However, Gorge would keep Potomac out of the try zone with some sustained goal line defense to open the game. The home team eventually turned it over, leading to a break and eventual score. A long penalty kick and another try later, and Potomac found itself staring at a 15-0 deficit. A smooth play off the scrum put winger Joanel Joseph through for a long try, and Potomac closed the deficit to 15-7 heading into halftime. Potomac again knocked on the door early but was unable to capitalize. Gorge took the momentum with a long try and 22-7 lead they would not relinquish. The visitors built up a 30-7 lead before Potomac answered with a try from Captain Jason “Dutch” Vanterpool. Gorge scored again at the death to seal the final score, 37-12.